Jump to video Santa Claus is coming to town! 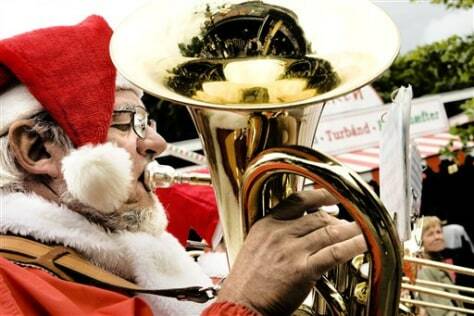 A musician in a Santa Claus outfit marches on Monday at a Danish amusement park in Copenhagen, where Santa Clauses from around the world are gathering for their annual three-day congress. Now in its 51st year, the World Santa Claus Congress starting Monday brings together 136 red-clad delegates, mostly from Scandinavia but also as far away as Russia, Japan and the United States.